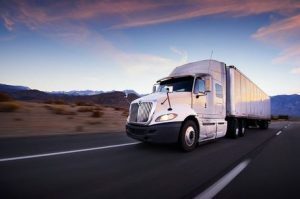 benefits of being a truck driver | Platinum Drivers Inc. There are many Americans who tend to travel to places that they’ve already been to before when they go on vacation. For example, according to a CNN article from 2011, about 90 percent of the people who visit Florida on an annual basis have already been to the state at least once in the past. Moreover, while there’s something to be said for vacationing in a place where you feel comfortable, there are also some big advantages that come along with experiencing new places when you travel. The writer of that same CNN article spoke with a neuroscience professor from Baylor College of Medicine in Houston who said that, when you travel to a place you’ve never been before, your brain enters a state in which you feel like a child. Because there are so many sights and sounds that are unfamiliar to you, your brain takes everything in and creates memories that really last, much like it did when you were younger. It doesn’t necessarily do this when you visit a place you’ve already been, because your brain isn’t as excited about it. But by going to a new place, you provide a challenge to your brain, which is why it is able to create better memories. There are also more basic benefits to exploring a new part of the world. When you take a trip to a new city, you will often get the chance to try new foods, listen to different kinds of music, and meet people that behave in a way you’re not used to. This might make you feel a little bit uncomfortable at first, but when you push yourself outside of your comfort zone, you will learn about the world and all it has to offer. And in the end, you will walk away with experiences that you wouldn’t have gotten if you had visited a city, state, or even country that you’ve already been to before. Does the idea of traveling around the country and visiting new places excite you? Becoming a truck driver is one of the best ways to see all that the country has to offer without spending a fortune. In fact, you can actually get paid to do something that millions of other Americans would love to do. Platinum Drivers can show you how to make your truck driving dream a reality. Call us at 844-800-1421 for more information on how we can help you see the world.